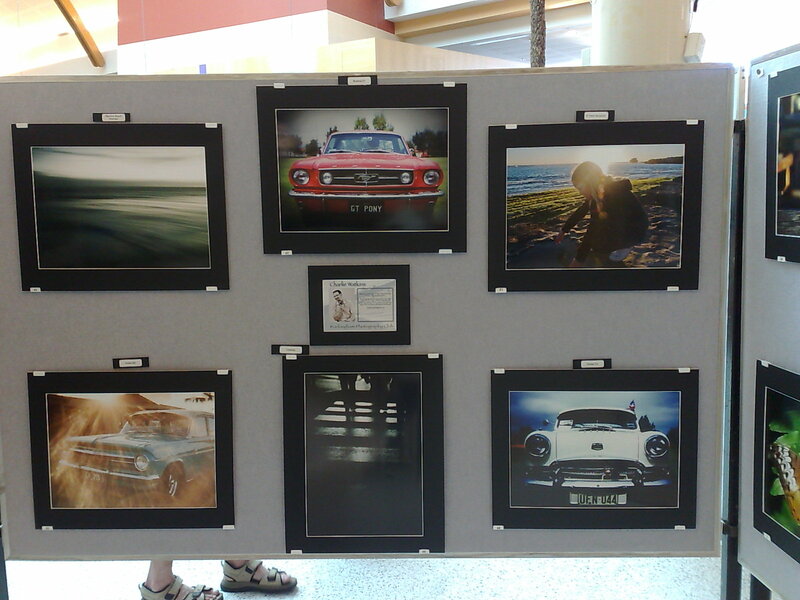 I have some photos in a local photo exhibition this week – the first one I’ve ever entered – and they look pretty good. I decided to only enter photos I’ve taken this year, even though I have some corking photos from the UK and last year in Oz too. I dunno, call me a purist, but I think you should only exhibit (if you can pick any images you like from your collection) with the latest stuff you have – keep things moving in a forwards direction and not in a John Farnham, ever on his “last tour this time, no really, it is…” kind of a way. So I went down there at 9 this morning to set up and then at 4 for the group photo and newspapers (I know!) and, despite its modest setting (the foyer of the local shopping centre) the 100 or so photos we have there make a good collection. Here’s a rather basic pic of my board. 4 of the 6 are taken with the Holga – who ever said film is dead? I love all of them. Will there be prizes? If there were prizes, you should win some!! Thank you 🙂 There will be prizes – hopefully people will vote for mine, but I’m competing with pictures of cute babies and pretty flowers, so I don’t know if I have a chance..
Is it strange that I would pick photos of classic cars over babies and flowers any day of the week?? no, its not strange – it shows you have excellent taste! LOL!